It was the strong belief of Henry VIII that England would be unwilling to accept a woman as monarch, and that it was therefore his responsibility to produce a son as heir to England’s throne. 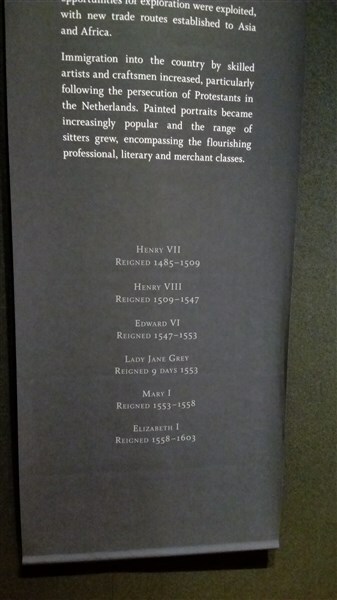 Through the production of a male heir he could feel sure that the Tudor Dynasty would continue for many years to come. Through the course of his six marriages many children were conceived, however only three survived. These were Mary, the daughter of his first wife Catherine of Aragon; Elizabeth the daughter of second wife Anne Boleyn and Edward the son of Henry and his third wife Jane Seymour. The three children of Henry VIII all went to to take the throne, with Elizabeth reigning the longest. None of Henry VIII children had it easy, the daughters were for many years pushed away and removed from the line of succession by their father, and Edward was not the strongest of men. How Many Children Did Henry VIII Have? While the three children then went on to rule the land after Henry’s passing are well known, Henry is also believed to have had at least two children outside of his many marriages. Sadly for Henry despite both of these children being male, he was unable to name them as heirs to the throne. One of these children was believed to be Henry Fitzroy, the Duke of Richmond. There is also believed to have been another son by the name of Henry which was born to Mary Boleyn, the sister to Henry’s second wife Anne. Edward son of Henry VIII and Jane Seymour was the much anticipated heir Henry had been waiting for. Sadly, Jane Seymour died soon after the birth of her baby, much to the distress of the king. Henry VIII son was his third child, who became king at the age of just nine years old following the death of his father. As a child Edward was weak and sickly. It is thought now that he suffered from the disease tuberculosis. As a result of such ill health Edward died young. Mary Tudor was Henry’s eldest child and took the throne in 1533. She earned a terrible reputation and due to her sentencing more than three hundred people to their deaths throughout her reign, earned the title of Bloody Mary. She died in November 1558. Elizabeth, the daughter of Henry and Anne Boleyn took the throne in 1558. She had had a very unsettled childhood, losing her mother to the hands of the executioner when she was only two and a half years old. Throughout her youth she observed the cruel behaviour of her father to his subsequent wives, and the way that he was happy to execute anyone that dared to oppose him. Elizabeth’s reign is one of the most significant in English history as it was the era of exploration and new worlds were being discovered by some of the country’s greatest maritime heroes. She died in March 1603 after more than forty years as queen.